Kick off your visit on the 13th (Thu): explore the striking landscape at Uhrihalkeama, hike along Akka-Koli Hill, and then trek along Paha-Koli Hill. 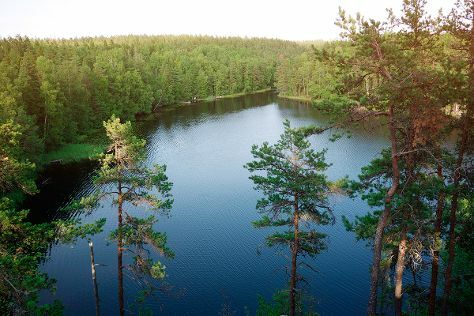 Here are some ideas for day two: contemplate the waterfront views at Pielinen, hike along Ukko-Koli Hill, and then look for all kinds of wild species at Kolinuuron kierros Nature Trail. 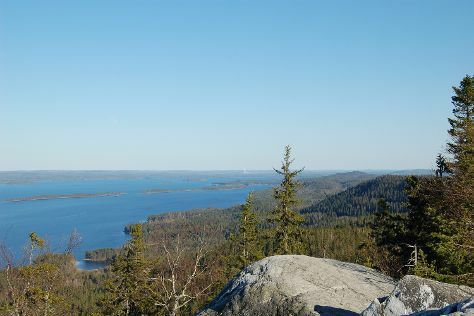 For maps, ratings, reviews, and more tourist information, you can read our Koli National Park trip planner . Mumbai, India to Koli National Park is an approximately 25-hour flight. Traveling from Mumbai to Koli National Park, you'll gain 3 hours due to the time zone difference. Plan for cooler temperatures traveling from Mumbai in June, with highs in Koli National Park at 20°C and lows at 10°C. Wrap up your sightseeing on the 14th (Fri) early enough to travel to Helsinki. Kick off your visit on the 15th (Sat): brush up on your military savvy at Sea Fortress Suomenlinna, take in the spiritual surroundings of Uspenskin Cathedral (Uspenskin Katedraali), stop by OMA Puoti, pause for some serene contemplation at Helsinki Cathedral, then admire the landmark architecture of Rock Church, and finally contemplate in the serene atmosphere at Kamppi Chapel of Silence. On the 16th (Sun), you'll have a packed day of sightseeing: explore the striking landscape of Nuuksio National Park. For where to stay, reviews, traveler tips, and more tourist information, go to the Helsinki driving holiday planner. Explore your travel options from Koli National Park to Helsinki with the Route module. Expect a daytime high around 21°C in June, and nighttime lows around 11°C. Finish your sightseeing early on the 16th (Sun) to allow enough time to travel back home.